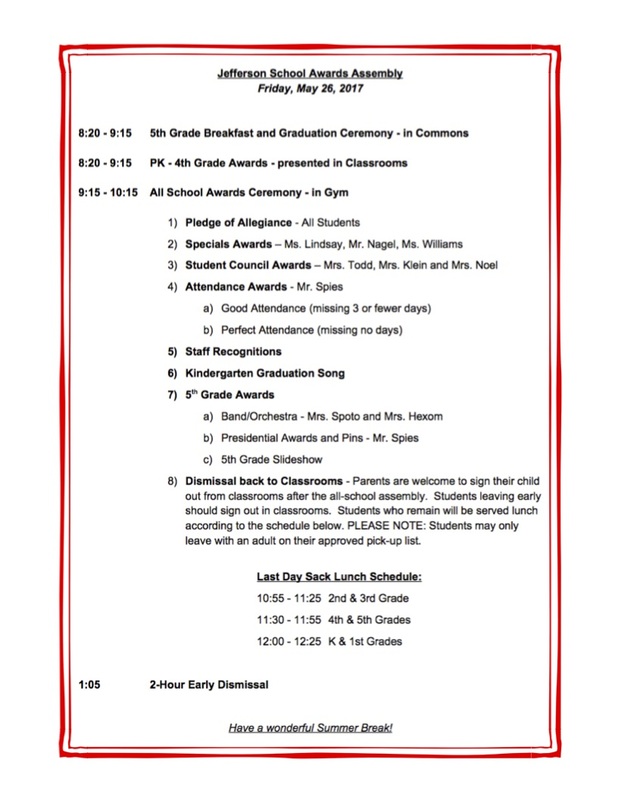 Please see the schedule below for our Year-End Awards Assembly. Remember that this Friday is the last day of school, and there will be a 2-Hour Early Dismissal. Please call the school with any questions. Thank you!